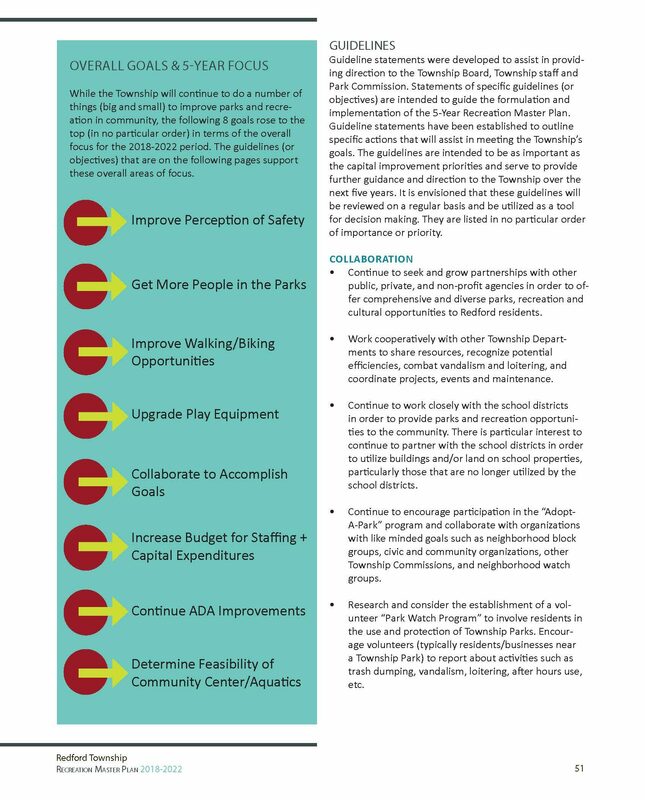 Intended to serve as a guide and decision making document for future recreation facilities and programs, Redford Township’s 5-year Recreation Master Plan was developed through an iterative process with the community it reflects. 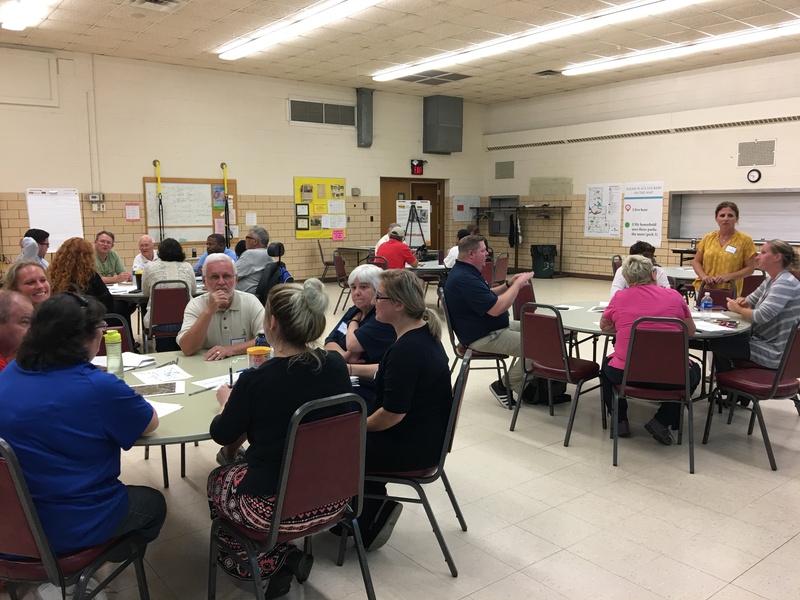 A series of public outreach meetings with various stakeholder groups identified as integral to the master planning process and a web-based survey were run by livingLAB in an effort to capture the ideas, opinions, and practices of the largest cross section of the community as possible. 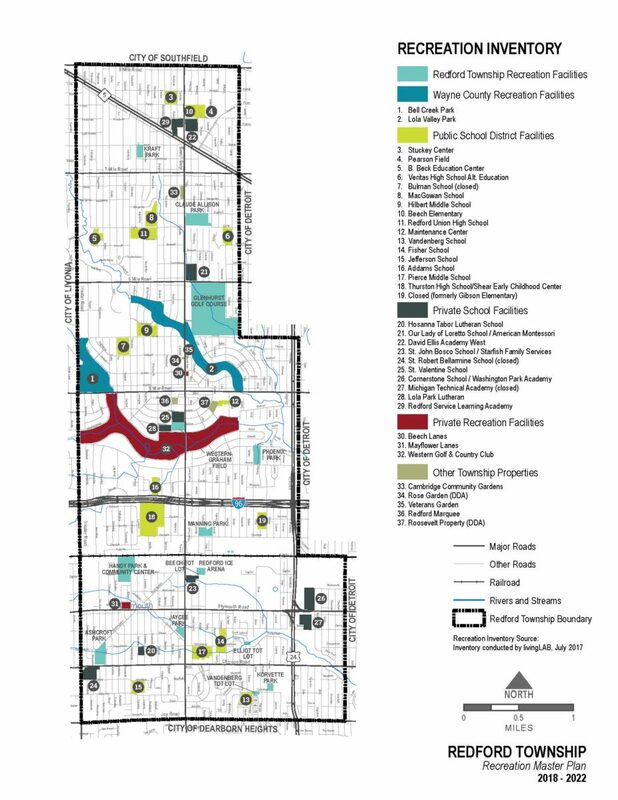 The Plan was completed using the Michigan Department of Natural Resources (MDNR) guidelines to ensure the Township remains eligible to apply for MDNR grants.